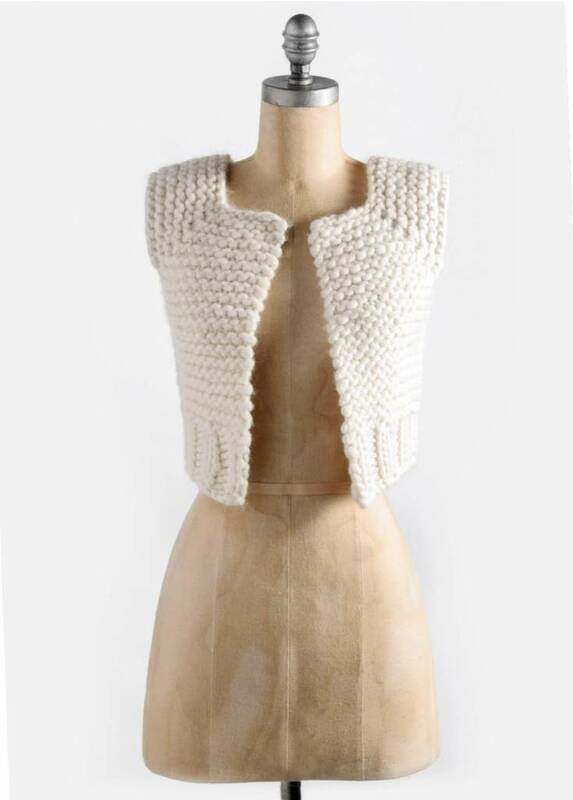 Blue Sky Fibers Lanesboro Vest Pattern #20155 - Woolly&Co. Feeling the need for speed? This is your go-to design. 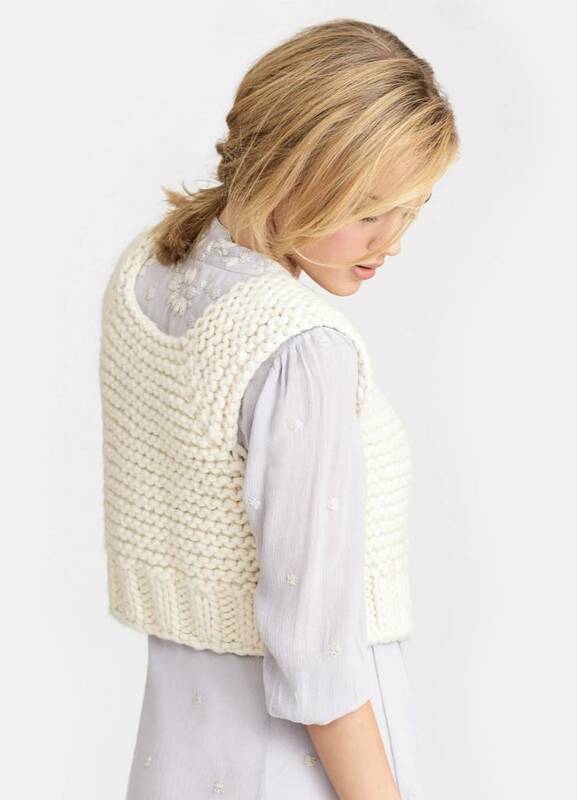 Cool, cropped and quick-to-knit in Bulky, Lanesboro layers on a bit of texture with chunky garter and rib stitches and simple-to-stitch, top-down raglan construction. Perfect for pairing with short sleeves or long. Women’s XS (S, M, L, XL), instructions are for smallest size, with larger sizes in parentheses. When one number is given it applies to all sizes.